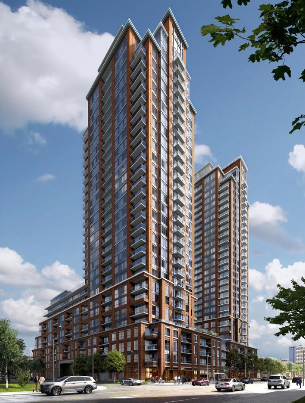 Pinnacle Toronto East Condos by Pinnacle International, is a new condominium project in Scarborough located at 3260 Sheppard Ave East (Warden and Sheppard). This modern and lavish project will definitely change the lifestyle in Scarborough. What Are The PINNACLE CONDOS Features? Limited time offer. Some conditions apply. Please ask a sales representative for details. Prices, specifications, and promotions are subject to change without notice. E.&O.E. Pinnacle International is amongst North America’s top builders of deluxe condominium residences, master-planned communities, hotels and commercial developments. Based in Vancouver, BC, Pinnacle has been involved in the construction, design, construction and managing their projects for more than 4 decades. Using this experience and knowledge, Pinnacle has completed over 10,000 residences to help generate and improve neighbourhoods in Vancouver, Toronto and San Diego. Pinnacle has development plans for an additional 10,000 residential suites located in various master-planned, mixed-use locations throughout North America. In Toronto, Pinnacle’s landmark projects include Bellagio on Bloor, and the Pinnacle Centre, a 2,000 unit, 4-tower waterfront community located at Bay, Yonge and Harbour Street. The Pinnacle on Adelaide and The PJ Condo (under construction) are located in the heart of Toronto’s Entertainment District and will anchor the John Street Cultural Corridor. Pinnacle has helped to create the Mississauga skyline in the city centre with Pinnacle Grand Park 1 & 2. Located at Hurontario and Eglinton, Pinnacle Uptown is redefining Uptown Mississauga with its 37-acre master-planned community, which includes 10 residential towers, 100 townhomes and a 15-acre public park. The Marquee Townhomes and the Crystal Condominiums have been completed, Amber Towers are currently under construction, and Perla Towers are the newest addition to this magnificent community. 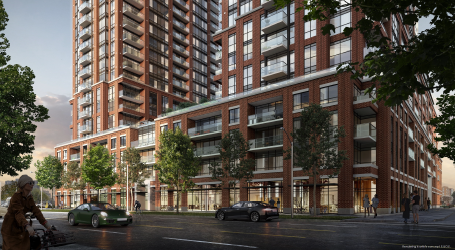 Situated on Dundas Street West, between Hwy 427 and Kipling Avenue, is Pinnacle’s newest master-planned community in the Etobicoke city centre. 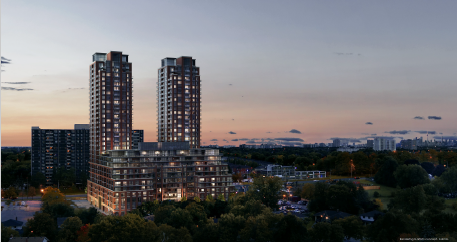 Pinnacle Etobicoke is another landmark community in the making, which includes large-scale retail, a one-acre park and eight condominium towers. Cypress is the first residential tower introduced in this remarkable community. Future master-planned, mixed-use communities include Pinnacle Toronto East and the much anticipated Pinnacle One Yonge in downtown Toronto.